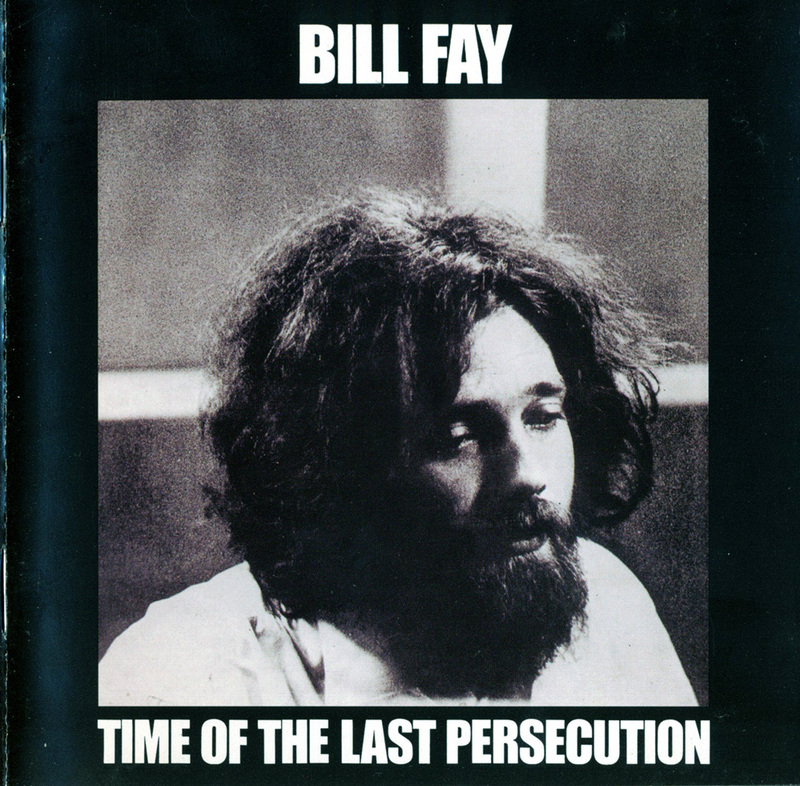 "Enigmatic" was the tag oft-times tossed 'round Bill Fay, whose loyal cult following grew significantly over the years. 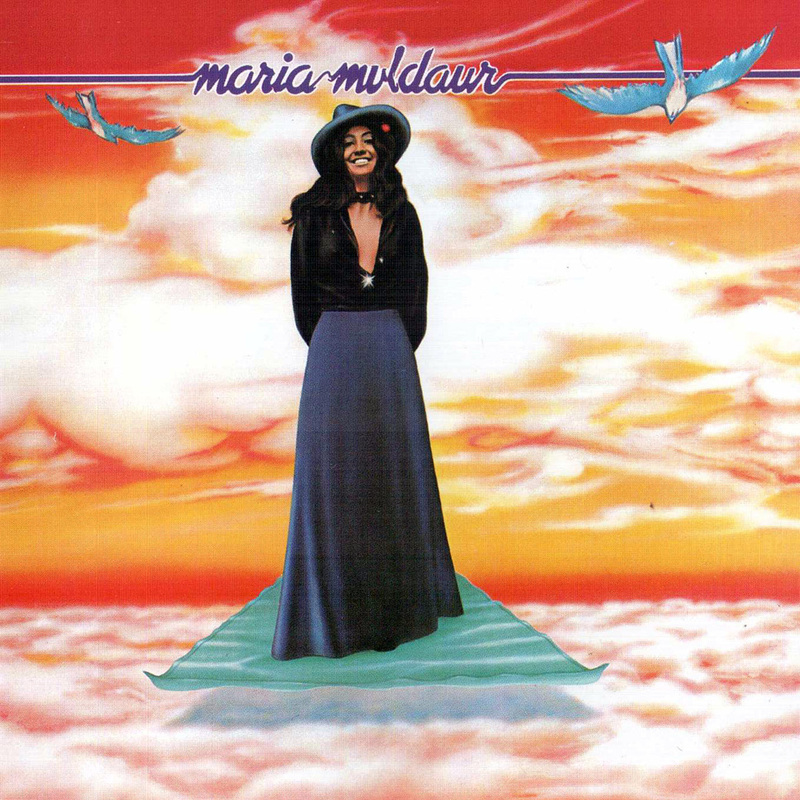 Signed to Decca, the singer/songwriter and pianist released two albums in the late '60s and early '70s; their haunting, darkly shadowed songs were never meant to appeal to the masses, even at the height of the psychedelia-streaked introspection sparked by the soul-searching of the day. 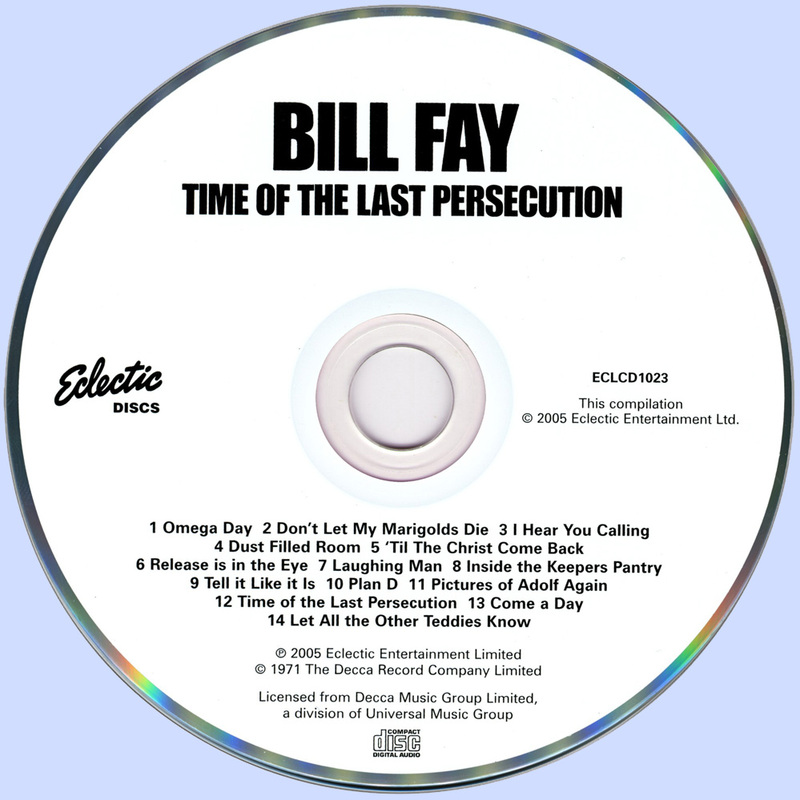 While the Beatles flew off to meet the Maharishi, Fay fell under the spell of a 19th century compendium of commentaries on the Biblical books of Daniel and Revelations, which would inspire his second album, Time of the Last Persecution. But before the born-agains jump on to the Fay bandwagon, they should be warned that the artist was equally influenced by the ravaging events of the day. The title track, "Time of the Last Persecution," was written in an immediate and visceral response to the killings of four students at Kent State. 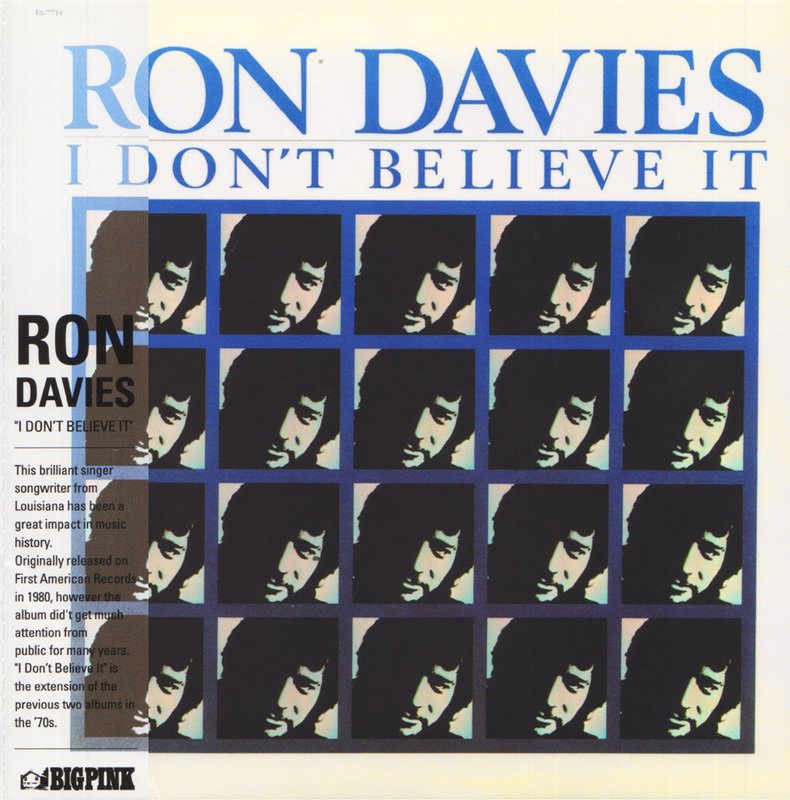 Even in 1971, the intensity of Fay's lyrics -- reflecting his commentaries in their poetical language, their highly introspective nature, the brooding quality of the music, all exquisitely enhanced by Ray Russell's evocative blues guitar work -- left most reviewers cold and confused. In truth, the album would have slotted much more neatly into the coming firestorm that descended on Britain later in the decade, and would have provided a surprisingly supple bridge between the apocalyptic visions of roots reggae and the political polemics of punk. The set certainly contains all the fire and fury of the latter movement, as well as the deeply dread atmospheres of the former. By 2005, with the rise of evangelicalism and Christian rock, Persecution no longer sounds so obscure or out of place; it is, however, a personal journey of spirituality, not a platform from which to proselytize. For all its dark vision, it's the possibility of peace and hope that shines through the gloom, and as for all the seeming quietude of the music, it thunders, too, with a power and emotion that speak in volumes as loudly as Fay's striking lyrics. This was one of the great albums of the sixties - brilliantly melodic, original and intelligent - but known till now only to a small band of passionate cognoscenti. 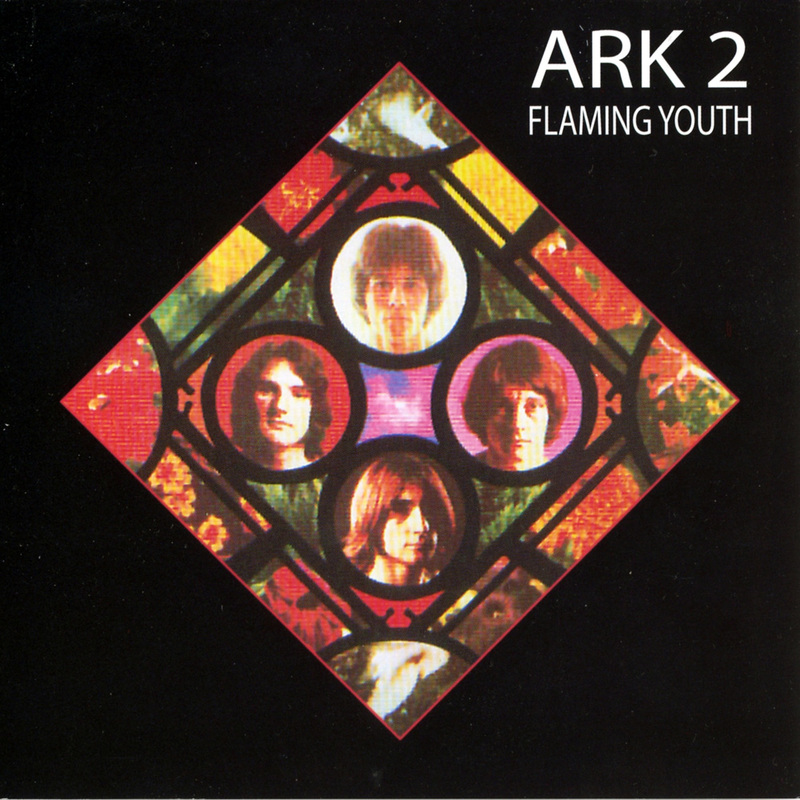 ARK 2 was the first 'concept album' - a 'space cantata' (though that makes it sound inaccessible and pretentious, which it is far from being). 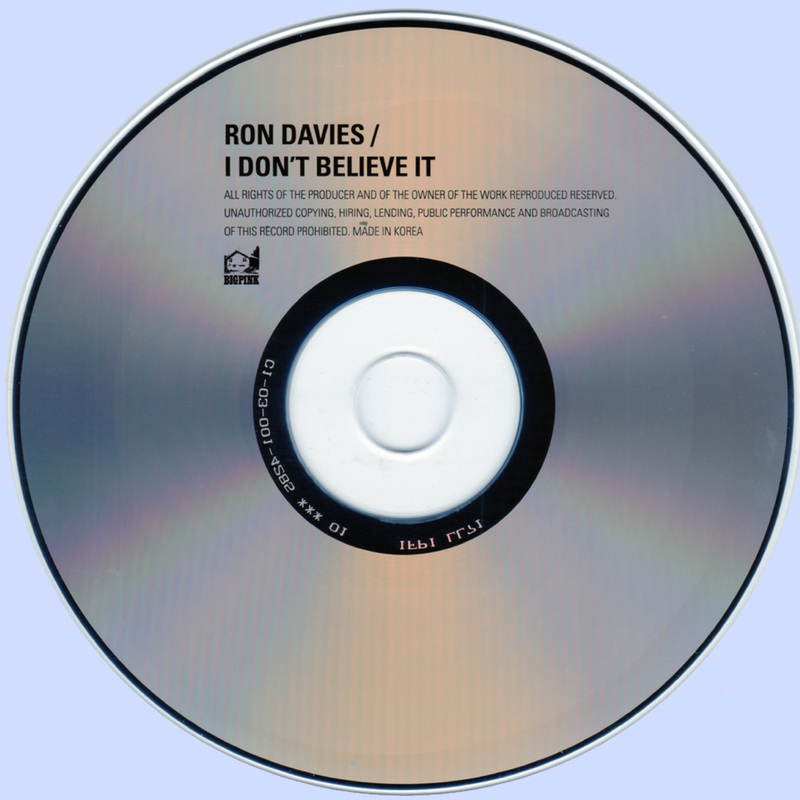 Written by the UK songwriting team whose success, according to The Penguin Encyclopedia of Popular Music, was 'rivalled only by Lennon & McCartney': Ken Howard and Alan Blaikley, both from Hampstead, London. Though brilliantly reviewed in the music and rock press of the time (it was Sunday Times Rock Album of the Year in 1969), the BBC did not know what to make of it: there were no radio or TV slots for an extended rock work at the time. So it remained largely unheard except by those who sought it out. 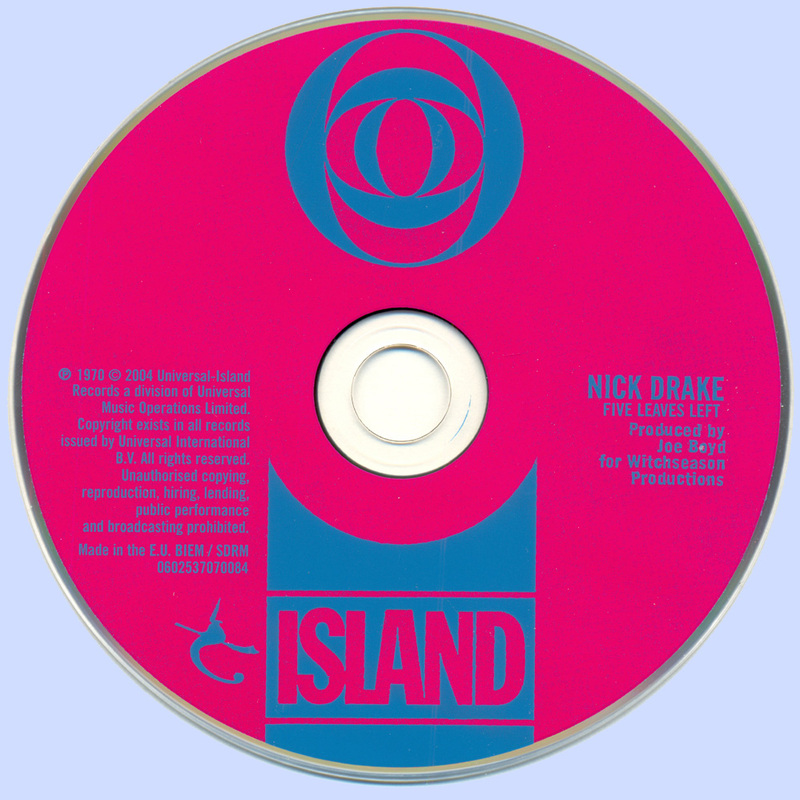 It is noteworthy for the first appearance on disc of Phil Collins, but (Flash) Gordon Smith, Brian Chatton and Ronnie Caryl each contributed their own fantastic musicianship and vocal power. As can be seen from the original 'sleeve notes', ARK 2, nearly forty years ago, was extraordinarily prescient, anticipating many of today's private and global dilemmas and anxieties. 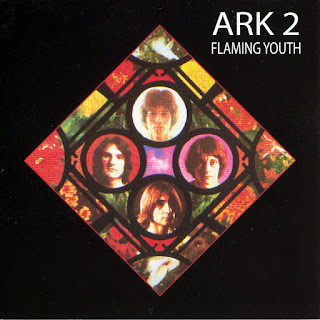 "After a while, supporting John Walker of The Walker Brothers, Collins and his guitarist friend Ronnie Caryl formed Hickory who soon found themselves with a concept album, the backing of Phonogram, and a new name, Flaming Youth. 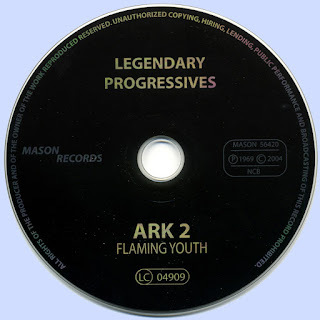 Their album Ark II, was premiered at the London Planetarium and received lots of favourable press, but musical differences and a lack of commercial success soon meant it was time to answer another Melody Maker ad, this time from a struggling young band from Surrey, called Genesis." 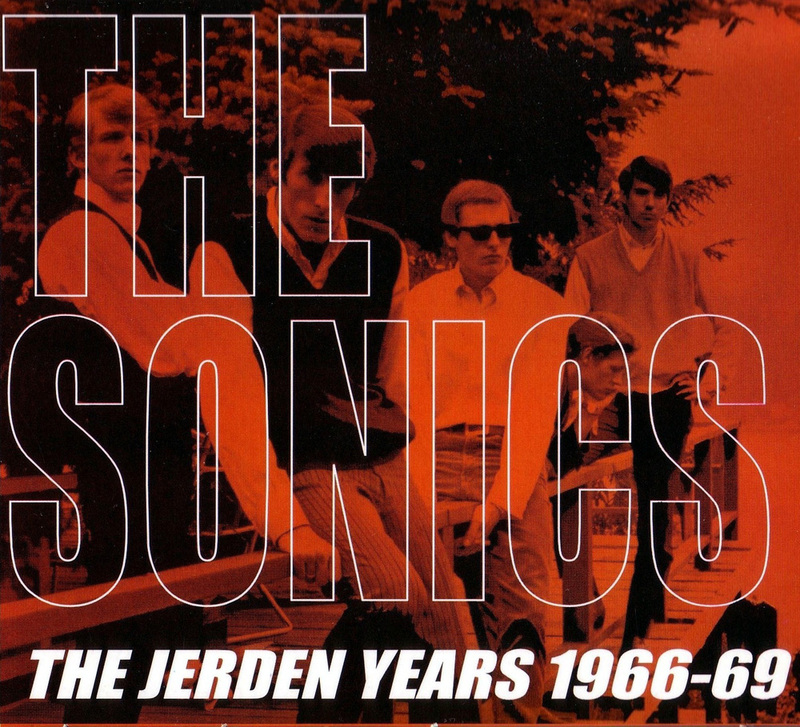 The original (and best known) Sonics lineup lasted for a total of three albums -- 1965's Here Are the Sonics, plus 1966's Boom and Introducing the Sonics. With the first two releases having been reissued on CD by the Norton label, the third release has become increasingly hard to come by over the years -- until it was issued in 2001 as part of the import release The Jerden Years 1966-69. 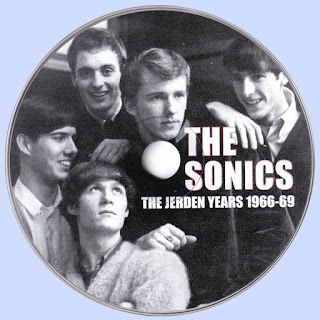 The 30-track set is padded with post-Introducing the Sonics filler, but the Sonics were still firing on all cylinders by the time of their third album -- as such classic originals as "The Witch" are combined with a smattering of covers (Bo Diddley's "I'm a Man," etc.). While the extra tracks don't exactly measure up to the Sonics' classic tunes, Introducing the Sonics was one heck of a record, and hunting down a copy of The Jerden Years 1966-69 will allow you to complete your Sonics CD collection. In 1968 Electra Records made an offer to sign the group after their performance at the famed Cheetah Club in LA. with "Genesis" and "The Iron Butterfly". In August 1968 "The Litter" recorded 7 songs live at The Electric Theatre for the movie "Medium Cool". The band was paid $500 for the days shooting, but when the movie was released to theatres the scenes of "The Litter" on stage were intact but the soundtrack was Frank Zappa. In 1969 The Electric Theatre in Chicago held a contest to see which band was louder, "The Litter", or "Blue Cheer". 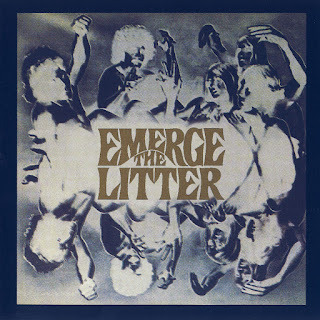 "The Litter" won hands down. ABC Probe Records signed "The Litter" sight unseen to a recording contract and the album Emerge - The Litter was recorded in Michigan. Although the record was charting in Billboard and the group was touring the U.S. with acts like "The Who", unavailability of their albums due to distribution problems, plagued the group everywhere they appeared. The album Emerge - The Litter is the only album by the group to chart in Billboard magazine, also was #1 in Puerto Rico and successful as well in the European market. 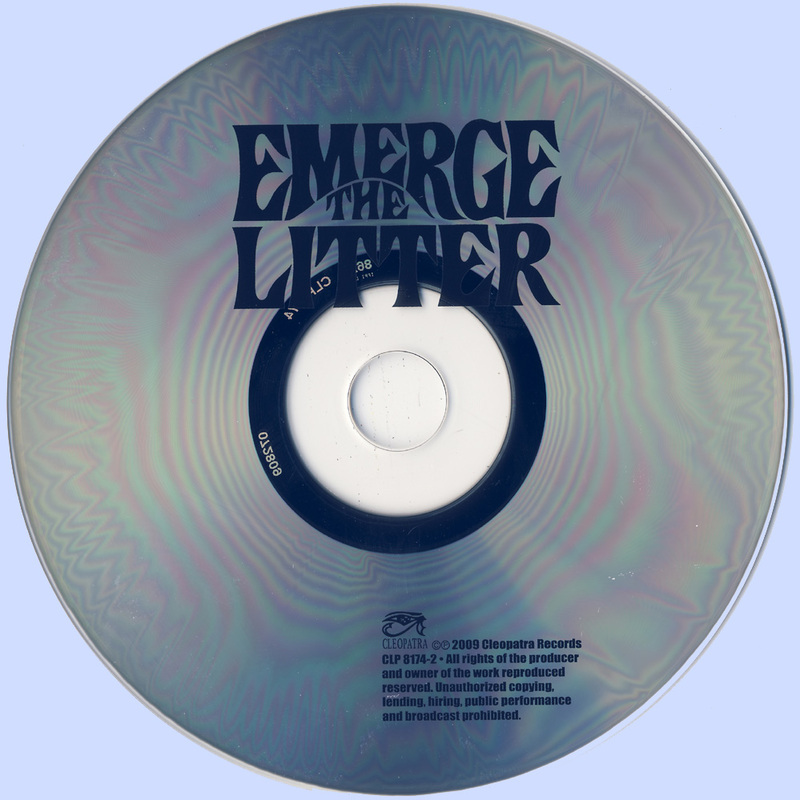 The single Silly People (flip side Feeling) from the album Emerge - The Litter was picked as a Special Merit Spotlight in Billboard magazine, but was banned from airplay by some radio stations because of the lyrics. 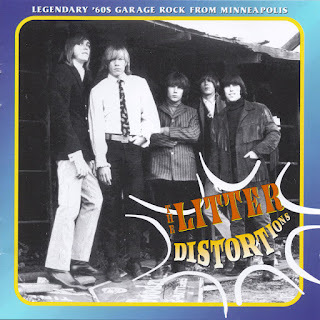 Dan Rinaldi is the only member of "The Litter" to have played in and recorded with all 12 versions of the band. 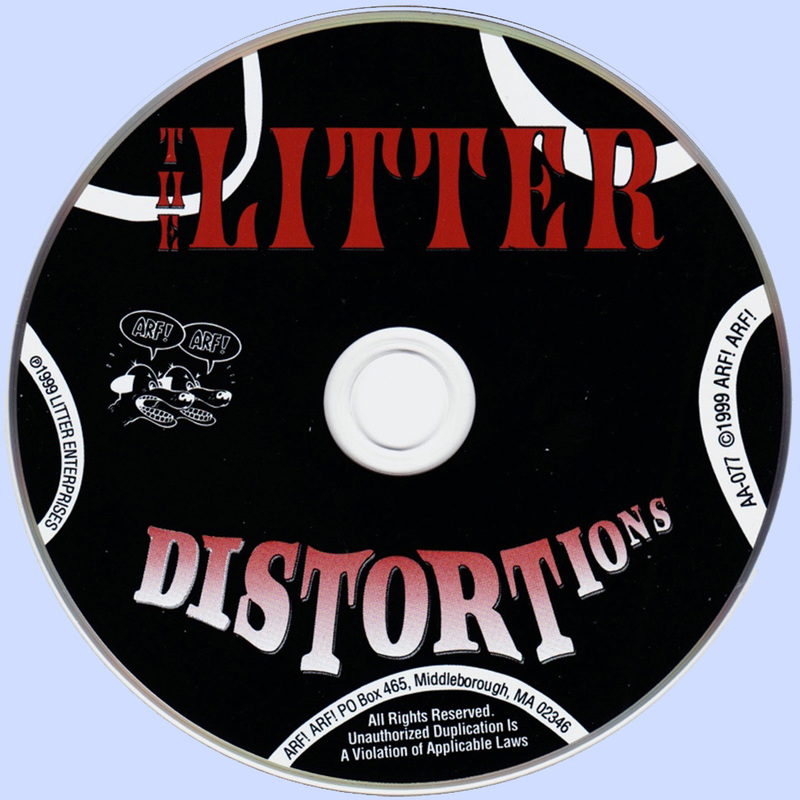 The Litter were one of the few garage bands to invest enough energy and imagination into their interpretations to make a cover-heavy LP worth hearing. "Action Woman" is here, and they go about tackling, and sometimes dismantling, numbers like the Small Faces' "Whatcha Gonna Do About It" and the Who's "A Legal Matter" (both of which were barely known in the U.S. at this point, incidentally). "I'm a Man," though based on the Yardbirds' version, gets into some pretty incredible feedback/distortion swirls in the closing rave-up section. 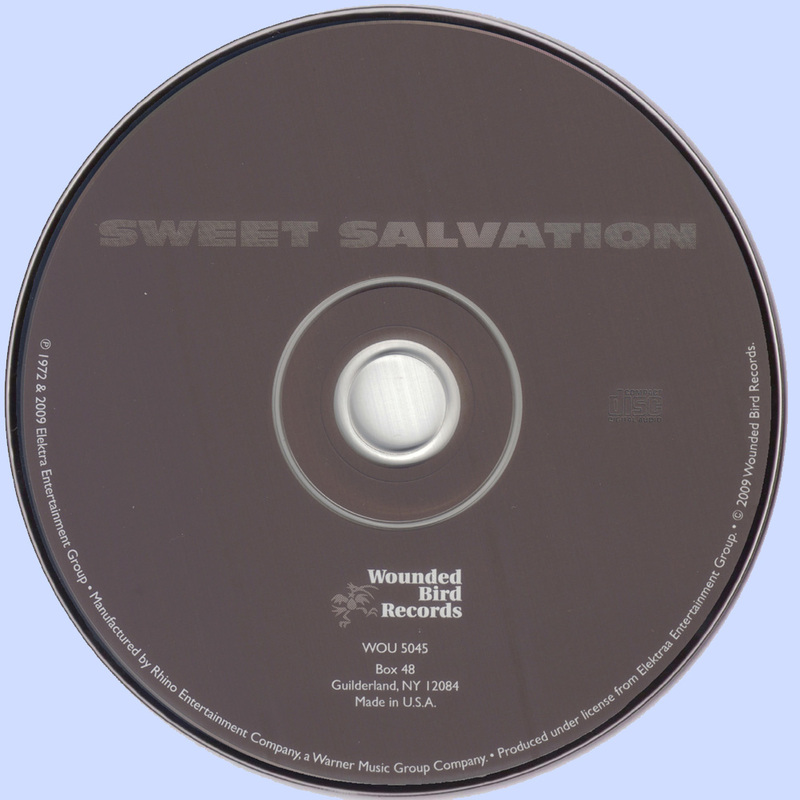 Distortions has been reissued a few times, but the 1999 CD on Arf! Arf! is the one to get, as it includes two outtakes ("Hey Joe" and the 25-second, hardly worth noting "Harpsichord Sonata #1") and seven songs, mostly previously unreleased, recorded live at Chicago's Electric Theatre in August 1968. This was the music that the band played while filming a scene in Haskell Wexler's film Medium Cool (although none of the music was used in the movie), and it's in a heavier, bluesier hard rock direction than their 1967 recordings, but still retains some of the punky spirit of the Distortions era. 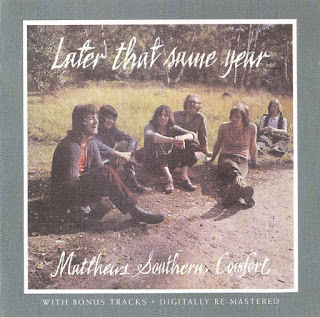 One of just two albums to be released by the easier-going American equivalent of Richard & Linda Thompson (without the brooding gloom and biting irony), this set includes some virtuoso folk-blues performances, as well as the version of "Brazil" made famous in Terry Gilliam's movie of the same name. 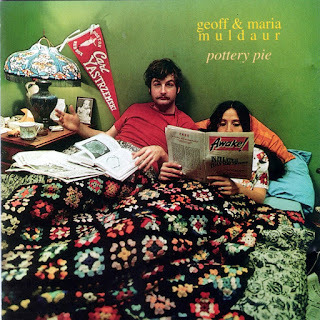 Though the ten tunes here are all covers, Geoff & Maria Muldaur treat each as if molded from clay of their own making, just as they had old traditional numbers as members of the Jim Kweskin Jug Band. It's probably no coincidence that this album would eventually find its way to Joe Boyd's Hannibal label. 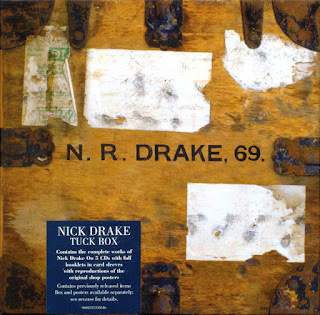 It's a collection that suggests the Richard & Linda Thompson albums he would release throughout the '70s. 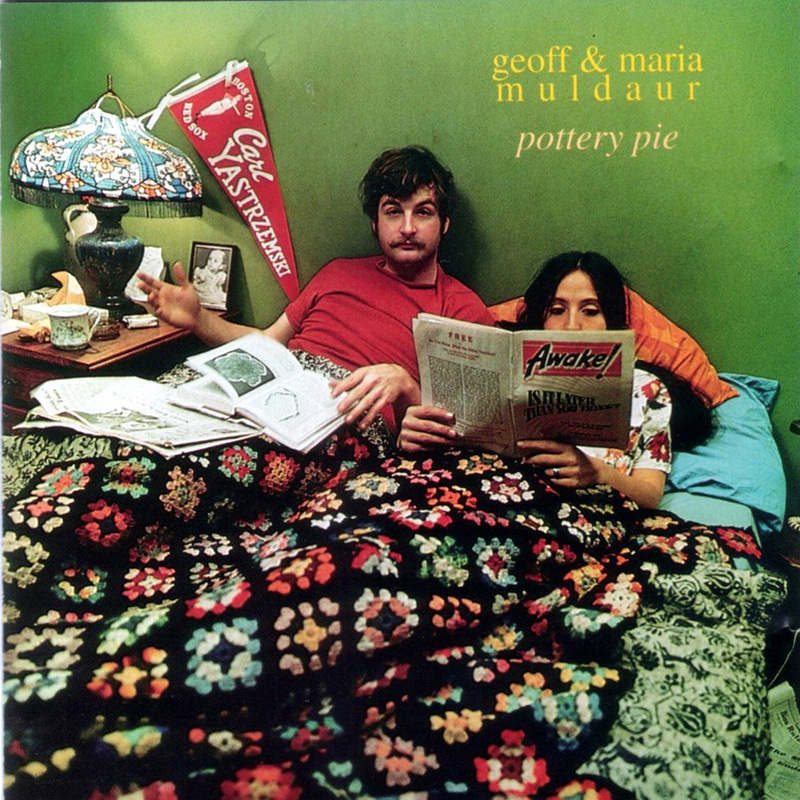 Although it's often difficult to find, many fans will find Pottery Pie more than worth the money and effort. 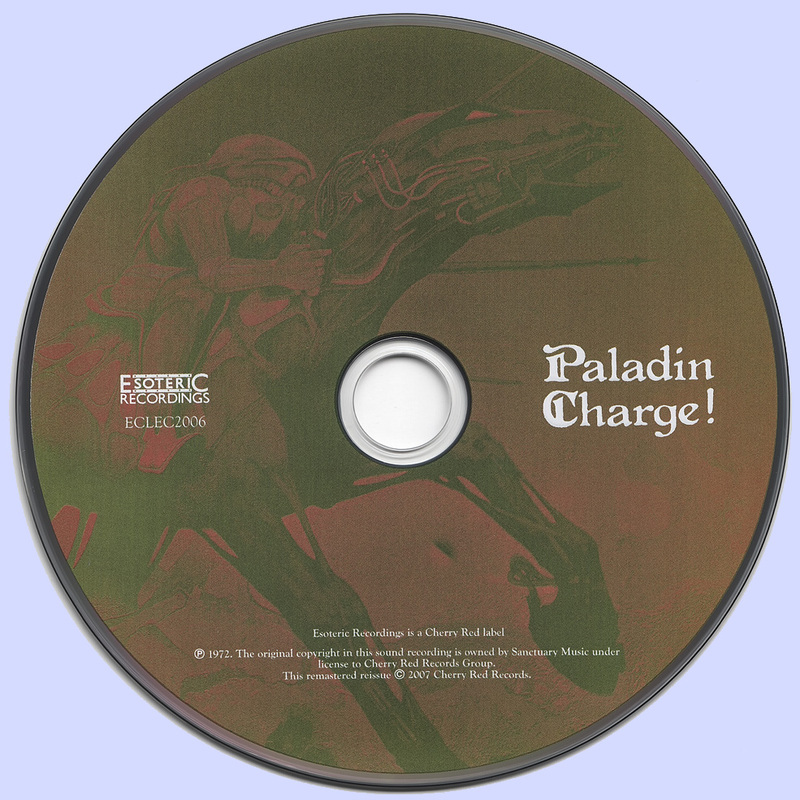 Having failed to ignite the populace with their eponymous debut, a set brimming with joie de vivre and creative crossovers, Paladin decided the only way to break into the mainstream was to assault it. And this they set about doing with their sophomore set, 1972's Charge. Far heavier than their previous set, the quintet seemed determined to beat listeners into submission. That's evident from the get go, as they bash their way through the opening track "Give Me Your Hand," a rhythm-heavy number fueled by fiery guitar solos, strident vocals, and a hard rocking sound. The only reminder of their previous musical predilections is the Latin percussion that bubbles up halfway through the piece. 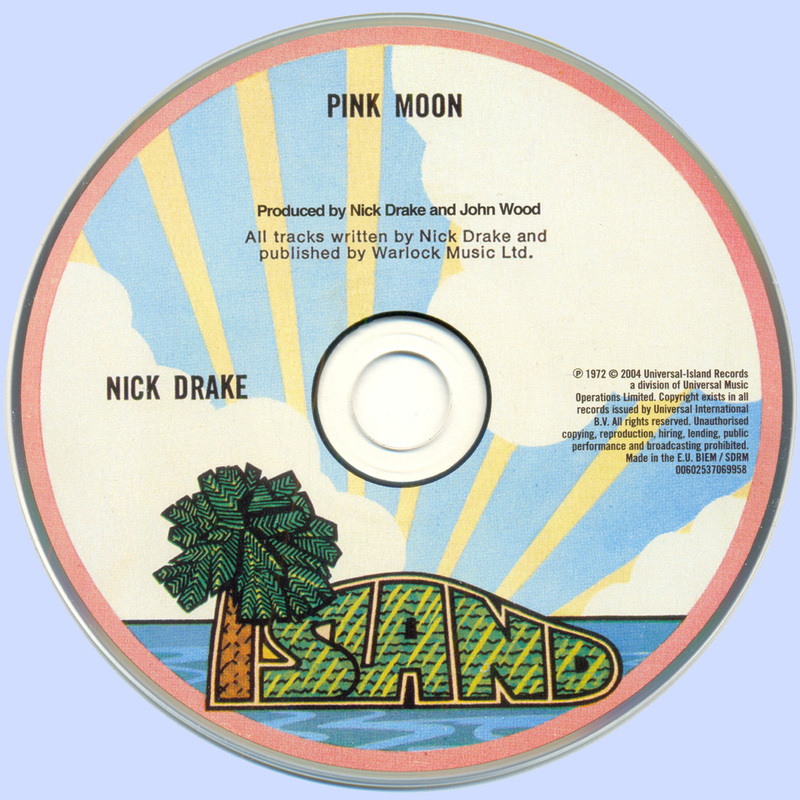 But then this is much more a hard rock album, with Derek Foley's guitar now given far more prominence while the vocals stray into Robert Plant territory, and the organ is invariably set towards psychedelia. This inevitably constricts their musical experimentations, yet the band still take some interesting excursions along the way. "Good Lord," for instance, encompasses Latin rhythms, a Southern rock segment, space rock passages, and even pop. "Watching the World Pass By" is even more diverse, kicking off in an easygoing fashion with a jaunty harmonica solo, then running into discordance, a majestic church organ, bouncy blues, a country hoedown, and a jig before a ferocious guitar solo takes the piece out in hard rock style. The Beatles get a nod on "Any Way," funk goes psychedelic on "Get One Together," and the roots of rock are explored on the barrelling "Well We Might," with the rest of the set dedicated to R&B laced rock. Yet somehow it all sounds a bit forced and heavy-handed. Still it's a hard rocking extravaganza. 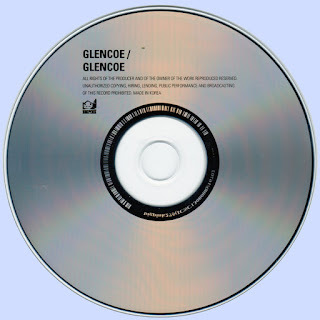 Having recorded two albums under the Forever More nameplate, in 1971 the four principals (drummer Stuart Francis, bassist Alan Gorrie, and guitarists Onnie McIntyre and Mick Strode, decided to reinvent themselves as Glencoe. Before the band could record anything Gorrie and McIntyre bailed, reappearing in The Average White Band. Francis and Strode quickly recruited keyboard player Graham Maitland and bassist Norman Watt-Roy. The quartet hit the road touring the English club and college circuit, but in early 1972 Strode quit. He was replaced by guitarist John Turnbull, whose resume included time with The Chosen Few, ARC, and Skip Biffery. The band were quickly signed by Epic, with Columbia signing them to it's newly establish Grand Western Gramaphone subsidiary. 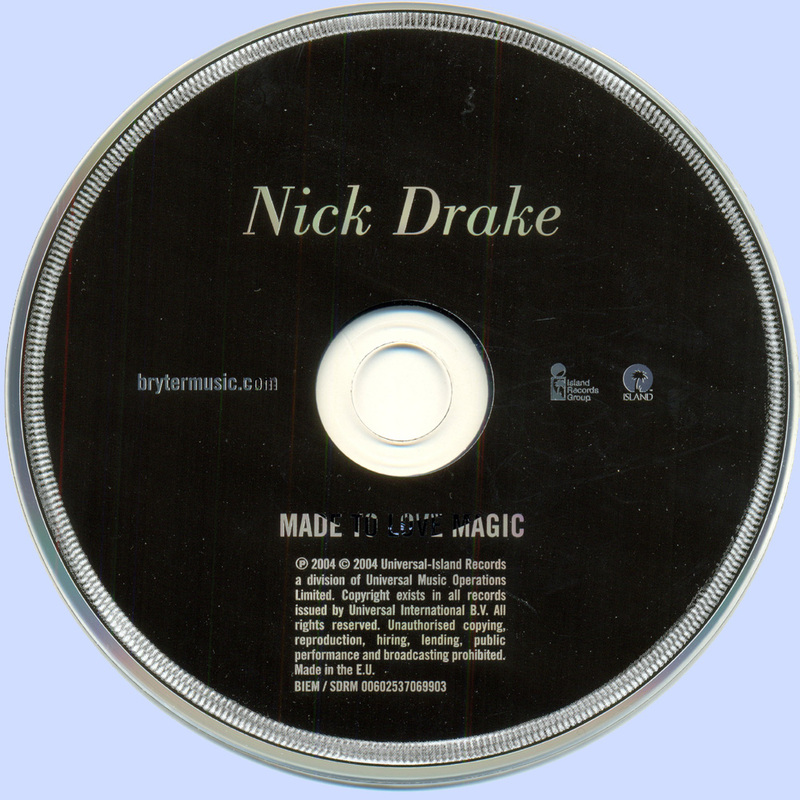 In an unusual move, the band were allowed to produce their own debut. 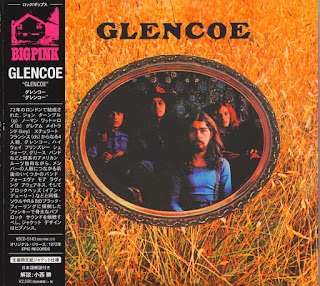 Released in 1972, "Glencoe" stands as one of those albums that makes you wonder how these guys escaped wider attention. 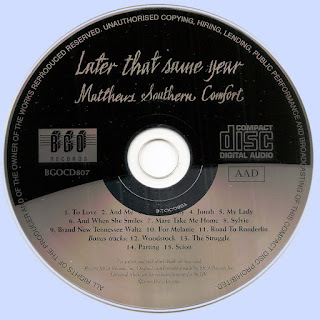 With Maitland and Turnbull responsible for the majority of material, the set featured a likeable mixture that crossed country-rock ('Lifeline'), pop, and progressive moves (frequently within the same song). 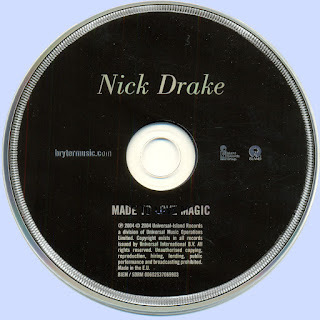 Tracks like 'Airport', 'Lifeline' and 'Look Me In the Eye' were smooth and highly melodic and that may have spelled their demise. With so many talented early-'70s bands out there, these guys were too mainstream for hard rock fans. 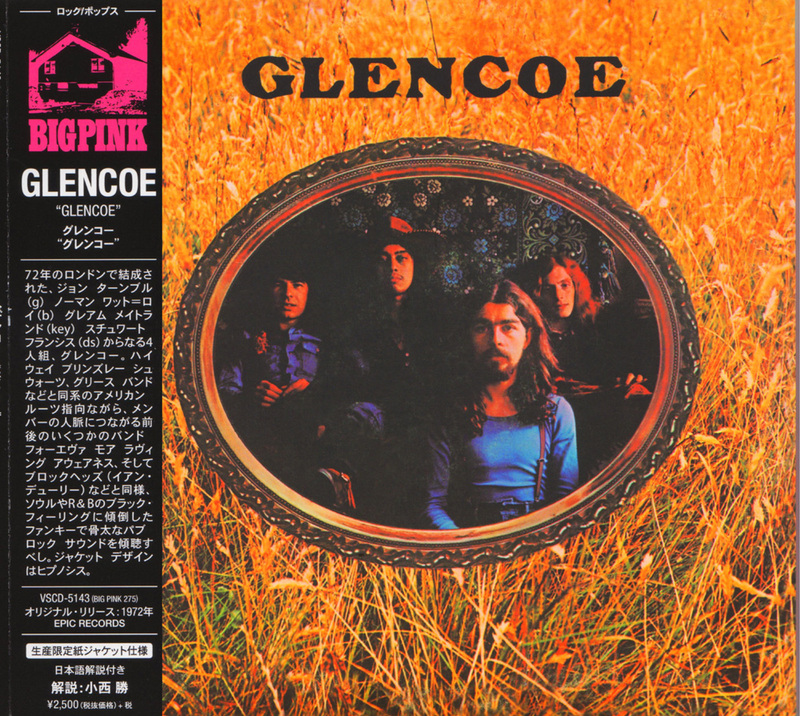 They were also too rock oriented for country-rock fans, and too bright and commercial for progressive fans. 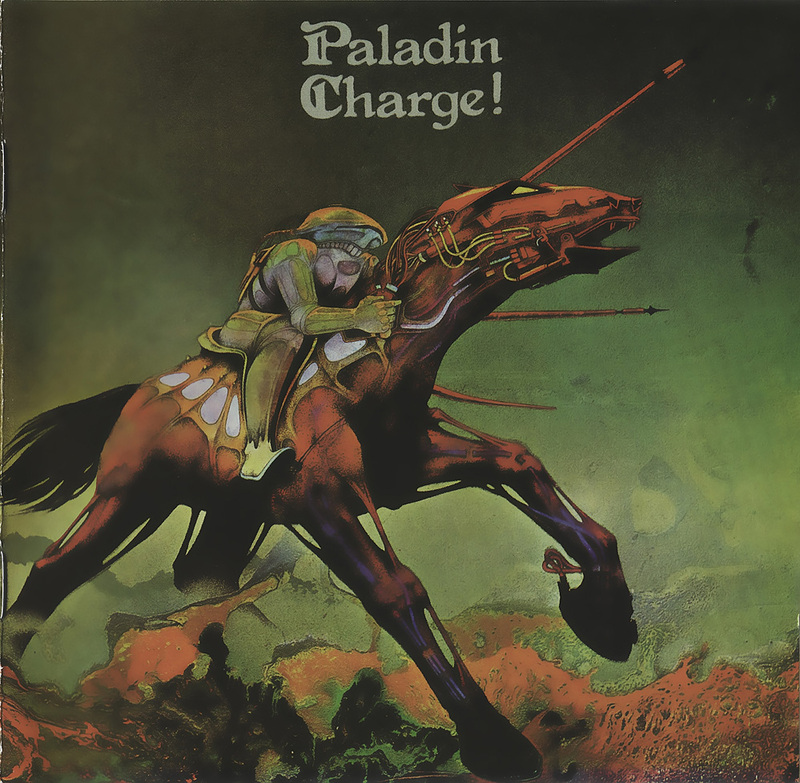 Maybe not the most album of 1972, but thoroughly enjoyable from start to finish. In support of the album, Epic put them on the road opening for Deep Purple, but that did little for sales. 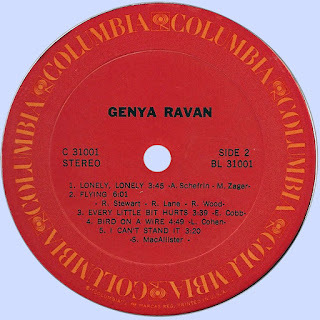 Genya Ravan is an important rock & roll personality and influential vocalist and record producer, born Genya Zelkowitz on April 19, 1945, in Lodz, Poland. Her mom later changed her name to Goldie Zelkowitz, Ravan taking her birth name back when she formed the band Ten Wheel Drive. When her parents left Poland, they went into a Russian camp. The singer kindly gave personal details of her youth to AMG on April 4, 2002: "We lost everyone. I never had an aunt or an uncle, I had two brothers, they died. I never met my grandparents, it was me and my sister and my mom and dad. They came from big families and saw all of them die. We escaped to the U.S. via a ship. We were DPs and went straight to Ellis Island." Young Goldie Zelkowitz never knew she could sing until in her late teens "then I picked up alto sax, drums, and harmonica." 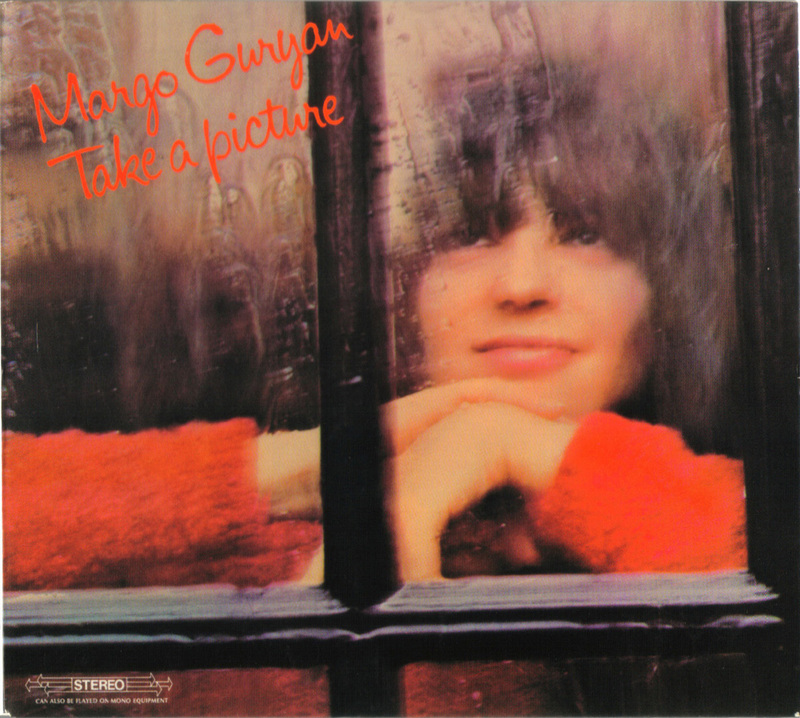 In the summer of 1962, she asked to sing with the Escorts (not Felix Cavaliere's band from Syracuse University nor the '50s group or U.K. band of the same name) who were performing at the Lollipop Lounge in Brooklyn, NY. She remembers it was the summer because: "I had pants that showed my belly button, they could not get their eyes off it." Soon, she was rehearsing with the band and became the first girlfriend of Richard Perry, bass vocalist in the group and the man who would go on to produce Ringo Starr, Carly Simon, Leo Sayer, the Pointer Sisters, and so many others. 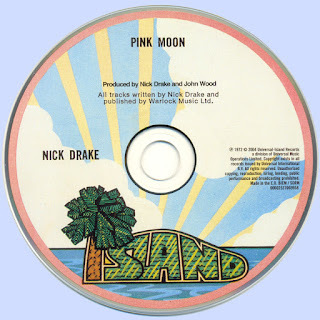 The band recorded and released a few singles on Coral Records in 1962 and 1963: "Somewhere" b/w "Submarine Race Watching," "I Can't Be Free" b/w "One Hand, One Heart," and "Something Has Changed Him" b/w "Back Home Again." After she left the Escorts, Zelkowitz formed Goldie & the Gingerbreads, an original all-female band that was only the first of many firsts for Zelkowitz. All girls in a man's music world was as daunting a task as a woman trying to become president of the United States. Petula Clark, Lulu, Cilla Black, Skeeter Davis, and Kitty Wells simply did not have a crew of women backing them up. Where the Go-Go's became a bit of a novelty years later, the people who came before that hit '80s band, Goldie & the Gingerbreads, Fanny, and later, Isis, all had a harder edge and would have done more for the cause's credibility had they had the hit singles to go along with their critical acclaim. Genya Ravan released an album a year starting in 1969 with Ten Wheel Drive's Construction #1 on Polydor, up to the 1974 release of Goldie Zelkowitz on Janus, but created her most popular recordings on 20th Century Fox in 1978 and 1979 when she released the self-produced ...And I Mean It / Urban Desire one-two punch. Genya Ravan, her first solo disc which Columbia released after she left Ten Wheel Drive, was the catalyst for Ravan producing herself. Perhaps the most shocking thing about the record is that it is the only one she recorded for Columbia, a place that seemed like the perfect home for a woman with so many talents. 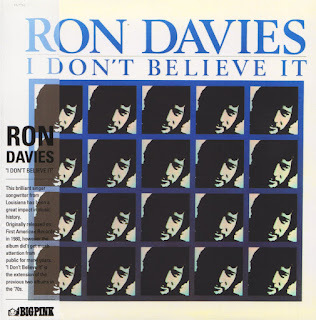 Clive Davis originally wanted Richard Perry to produce, and it wasn't the fact that he was Ravan's first boyfriend that the idea was nixed, his pop work with Carly Simon was not what this artist is about. Larry Fallon former partner of producer Jimmy Miller and the guy behind "Brandy (You're a Fine Girl)"for The Looking Glass (he had also put strings on an unreleased version of "Wild Horses" for Jimmy Miller and the Rolling Stones ) was brought in. But "Brandy" was more pop than "You're So Vain" if you think about it. 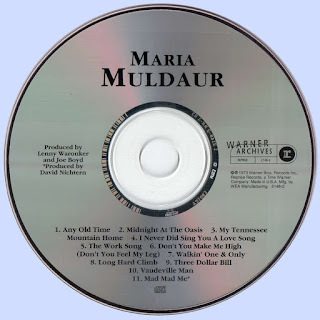 To feel comfortable, Ravan asked for, and got, her original partners in Ten Wheel Drive, Aram Schefrin, and Michael Zager, and with the band Baby behind her, Goldie Zelkowitz made the first album of her career beyond Goldie & the Gingerbreads and Ten Wheel Drive. It is a pure document of her transition. This is the shift between the sounds of Ten Wheel Drive and what would follow on 1973's They Love Me, They Love Me Not and 1974's Goldie Zelkowitz. She takes Rod Stewart and the Faces superb and little recognized "Flying" and makes it her own, a tune she would continue to perform live in concert. Stephen Stills' "Sit Yourself Down" gets a total reworking, just as Gabriel Mekler would revamp Whipping Post with her in 1974, when Ten Wheel Drive was re-forming with Annie Sutton. 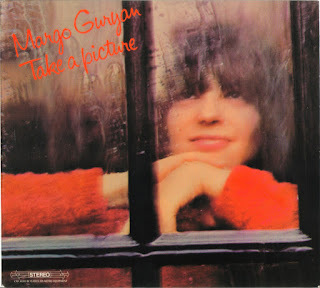 It is an amazing thread of events, with players from both the Rolling Stones and Janis Joplin filtering through her recorded work, and where this album could have been Columbia Records replacing Janis Joplin with Genya Ravan, the singer opted to take her music into a realm where Diane Schuur would feel at home, rock influenced by jazz rather than high-powered blues rock. 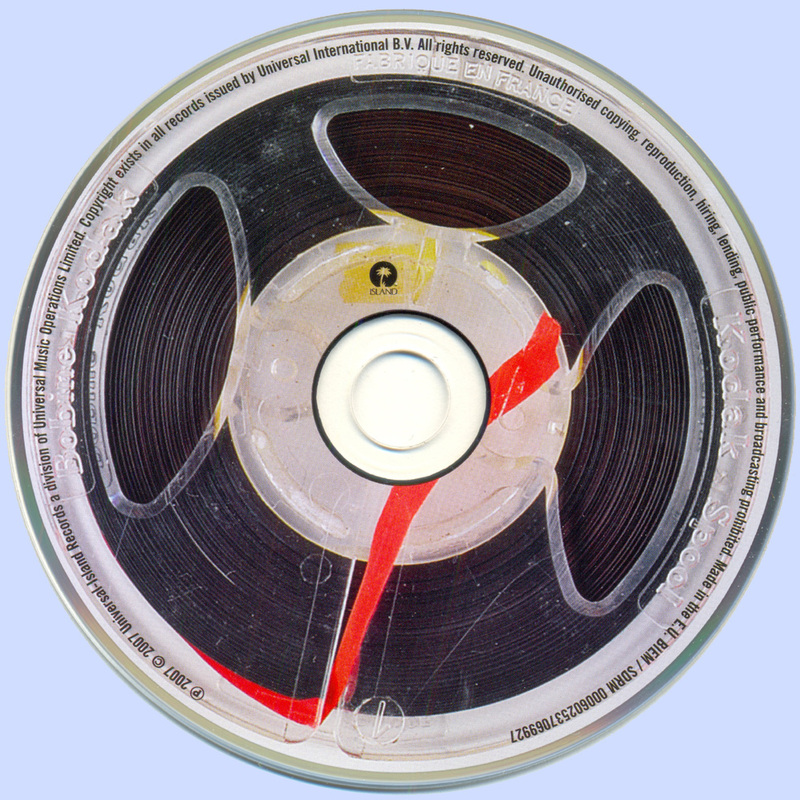 Indeed, the final track on side one, "Takuta Kalaba," is blended into "Turn on Your Love Lights," a song Janis Joplin did with the Grateful Dead if memory serves on one of the live tapes of theirs that has circulated over the years, so there was this thread, though the result is 180 degrees from where Joplin took it. Genya Ravan did not want to fill the Janis Joplin void for Mr. Davis -- she wanted to be herself. Clive told her, "You are either a rock singer or you're a jazz singer, but you cannot do both," and maybe for short-term marketing he had a point, but for longevity and vision, the Larry Fallon-produced "I'm in the Mood For Love" is exquisite. 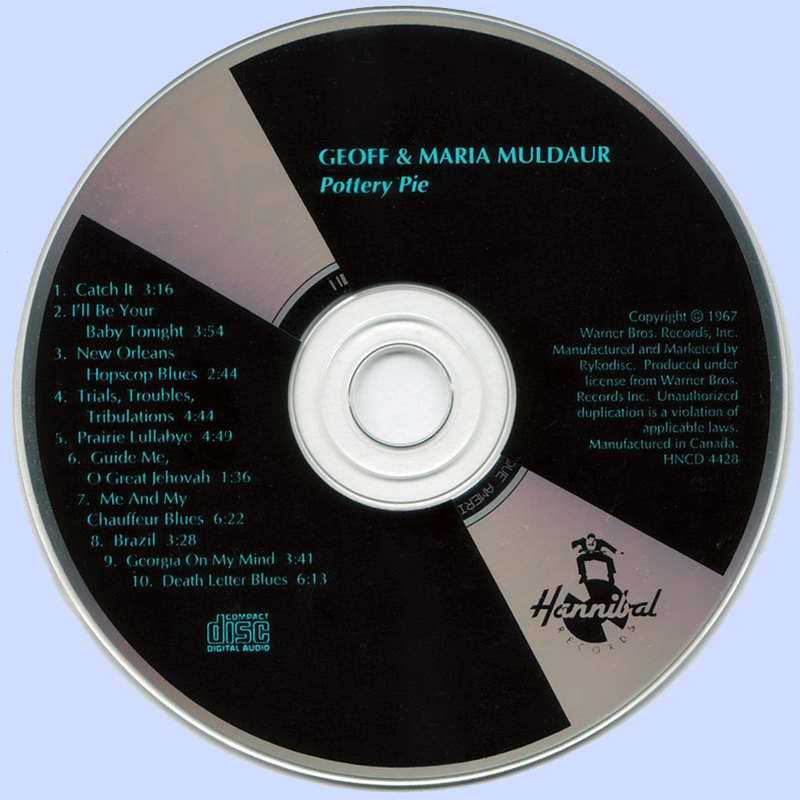 Fallon had come from a jazz band with Jimmy Miller, who coincidentally produced Genya Ravan's next album for his production company, released on ABC Dunhill. James Moody's saxophone solo is thrilling, and a real touch of class. The cabaret atmosphere seguing into the African drum sound of Michael Olatunji and his "Takuta Kalaba," which was released as a single in Europe. Brilliant material which would certainly stifle the Janis Joplin comparisons. The soulful rendition of Leonard Cohen's "Bird on a Wire" was tracked long before Cohen was considered chic. Columbia released "What Kind of Man Are You" from this album on a 45 rpm with the non-LP A side of "Morning Glory," written by Michael Holmes, and produced by he and Dixon Van Winkle, making for five producers during these sessions! 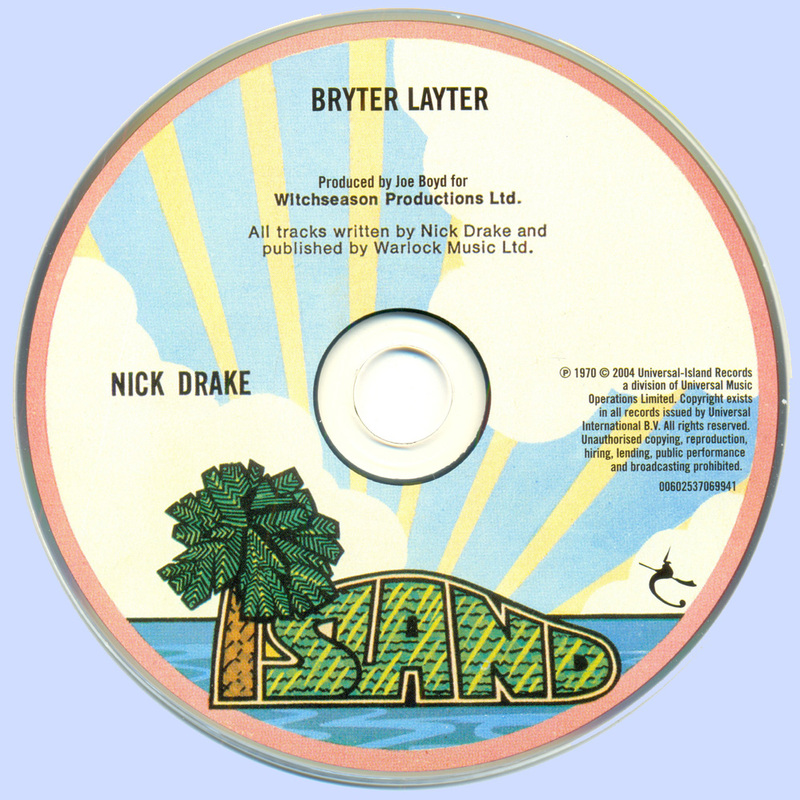 The single was the idea of Clive Davis, and it is beautiful, the style of music that Bette Midler was having success with at this point in time. Midler eventually covered Genya Ravan's "Stay With Me" for The Rose film and soundtrack, bringing things full circle. 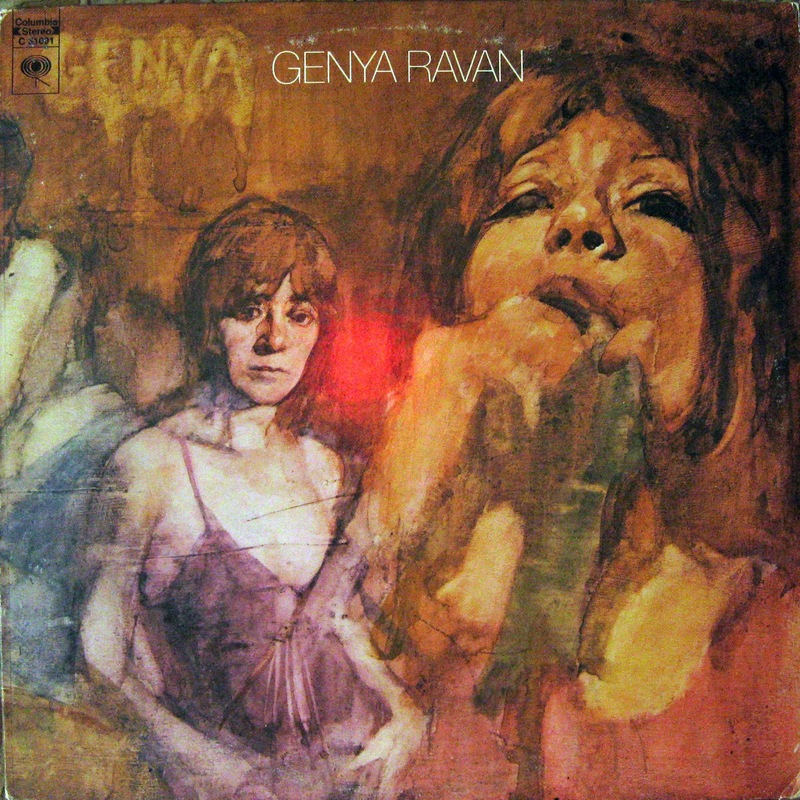 Genya Ravan is an album brimming with this creative woman's personality, talent, and amazing vocal prowess. "Morning Glory" should eventually find itself on a Sony/Legacy re-release of Genya Ravan, important music that is continuously contemporary because of the long-range vision of the artist. 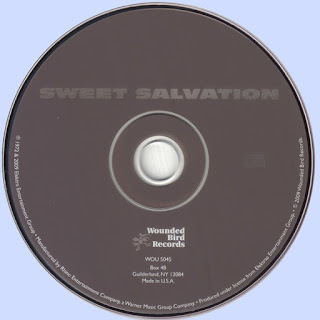 Led by long-established New Orleans musicians drummer "Big John" John Thomassie, keyboard player Wayne DeVillier and guitarist Don Normand, Sweet Salvation could have been one of the all-time great r&b/funk/rock/gospel bands. Unfortunately due to business mis-steps and bad timing it was not meant to be. Also featuring 2 great women singers, DeEtta Little and Fritz Basket, and Alex Smith on bass, Sweet Salvation covered ground that includes New Orleans second line, blues, r&b, rock and 70's funk. They were very much connected to Allen Toussaint and the Meters, but maybe heavier in sound and style, closer to rock. 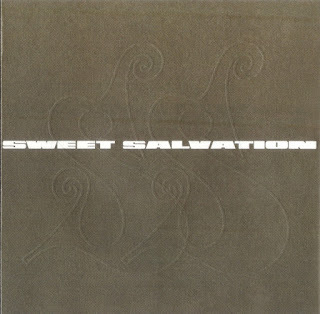 "Sweet Salvation" features 2 great cover tracks, very elaborate and creative arrangements of Randy Newman's "Sail Away" and Aretha Franklin's "Rock Steady". 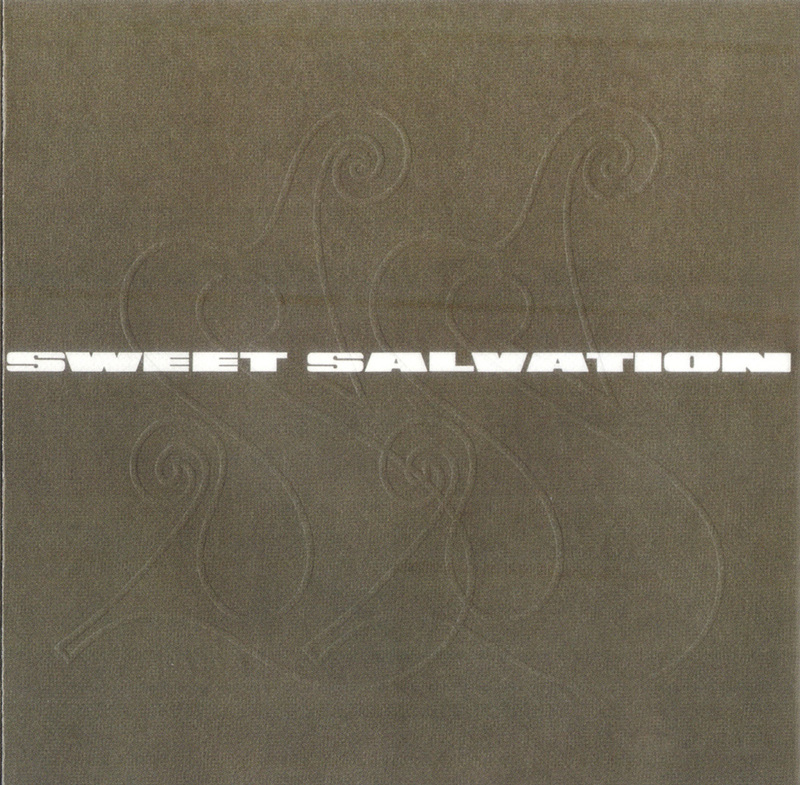 "Sweet Salvation" also delivers some first-rate original tunes in what could have led to a powerful and unique style. It's great to hear rock-solid r & b and second line grooves combined with Devillier's brilliant and virtuosic piano playing, which is beautifully recorded (loud and thick sounding, not too bright) and is the backbone of the band's sound. 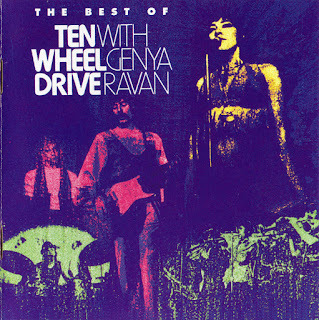 Ten Wheel Drive was a highly influential rock/jazz group not afraid to push the envelope while exploring various musical styles. Though musicians came and went, including the original lead vocalist, by the time the fourth album was released, the records have stood the test of time, influencing the successful Bette Midler breakthrough film The Rose, inspiring women with the drive and ambition to front their own group in a once male-dominated industry, getting sold on online auction sites to be discovered by new generations of music lovers. When Bette Midler put the Jerry Ragovoy/Larry Weiss song "Stay With Me" in her film The Rose, it was a sly tribute to the genius of Genya Ravan and her innovative ensemble Ten Wheel Drive. The former Goldie Zelkowitz hit big in Europe with "Can't You Hear My Heartbeat," which Peter Noone has said Zelkowitz/Ravan's manager nicked off producer Mickey Most's desk. 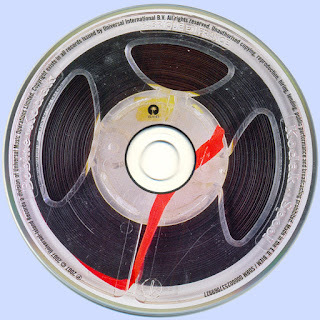 Most and Noone, of course, hit in America with "Can't You Hear My Heartbeat" on a Herman's Hermits release. Zelkowitz emerged from her pioneering girl group (later producing Ronnie Spector's first solo disc) to front an adventurous and highly experimental unit known as Ten Wheel Drive. With elements of Blood, Sweat and Tears meeting Big Brother and the Holding Company somewhere in the middle, Ten Wheel Drive covered the gamut of pop styles. 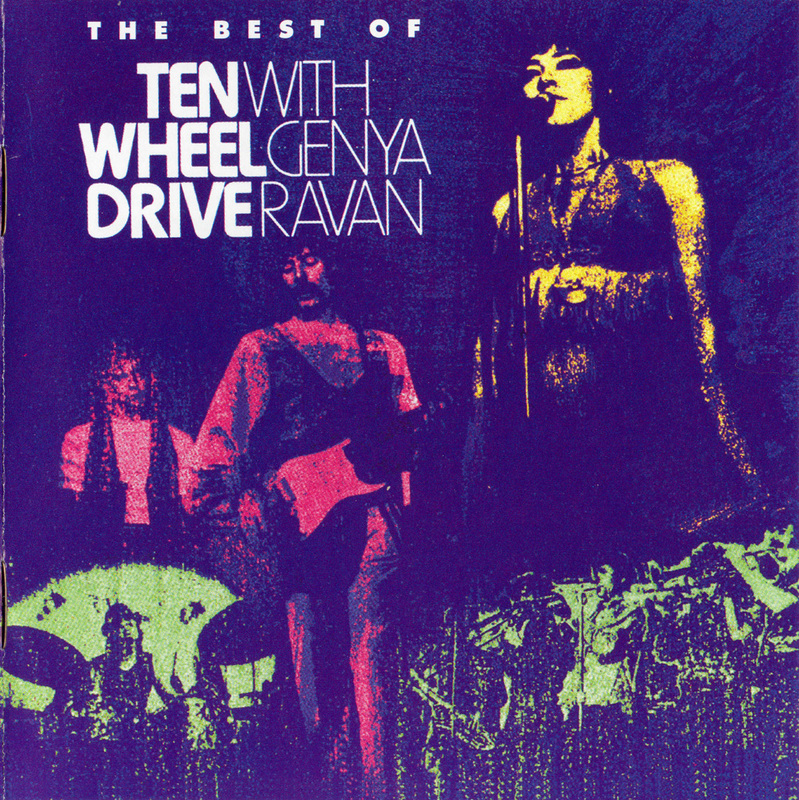 The band's three albums with Ravan, and a fourth without her on Capitol, only hinted at Ten Wheel Drive's potential. Polygram's Bill Levenson has done another commendable job putting together a solid collection featuring six tracks each from the first two discs and four from the third. 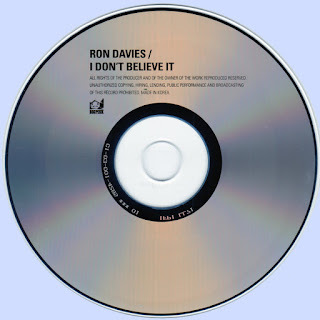 A track from the Capitol disc co-written by Schefrin/Zager/Ravan and entitled "Why Am I So Easy to Leave" would have made this perfect but, clocking in at 79:05, this disc is generous indeed. 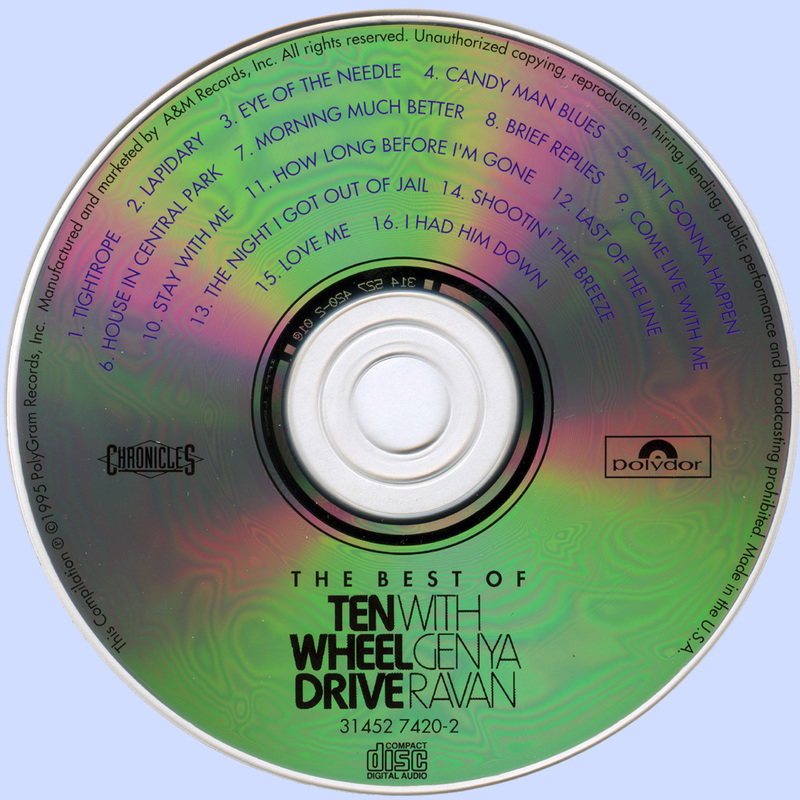 "Come Live With Me" has Ravan's exotic vocals slinking up and down the scale alongside bass and guitar, and "Brief Replies" is reminiscent of Mae West singing in the film Myra Breckinridge, but it is Ravan's screaming-from-the-cosmos wail in her astonishing performance of "Stay With Me" that is the album's zenith. Pearl producer Paul A. Rothschild was enlisted to recreate Ravan's performance somehow and Bette Midler did a wonderful tribute to her, as well as to Joplin and to songwriter Ragovoy (who also co-wrote Joplin's signature tune "Piece of My Heart." Make no mistake, both Joplin and Midler have owed a debt to the work of Genya Ravan. 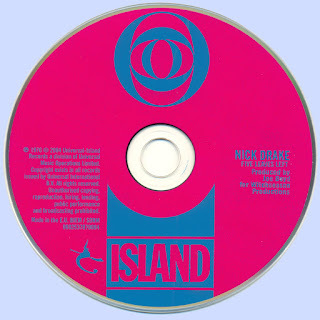 Just listen to "Last of the Line," with its experimental pop that Big Brother and the Holding Company flirted with so often, or the dreamy "Shootin' the Breeze," which sounds like a Jackie DeShannon/Burt Bacharach reunion. 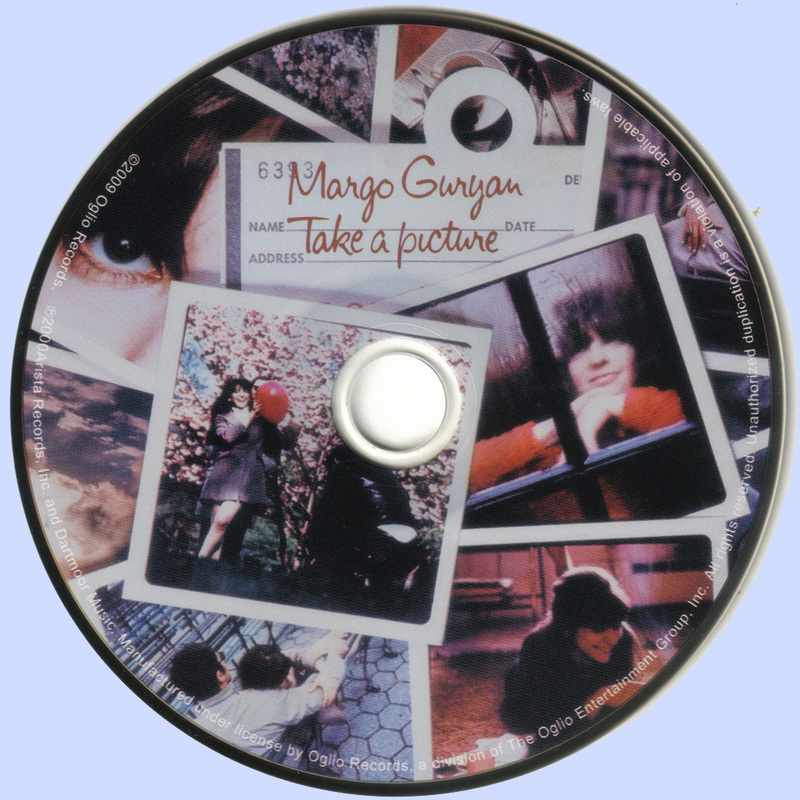 It is second only to "Stay With Me" as the showpiece of the disc. Any group that goes out on so many limbs to cover pop, jazz fusion, hard rock, country, blues, and any other musical format whether in vogue or not, deserved the opportunity to generate more sound. This "best-of" is a unique snapshot of talents who have yet to receive their due.